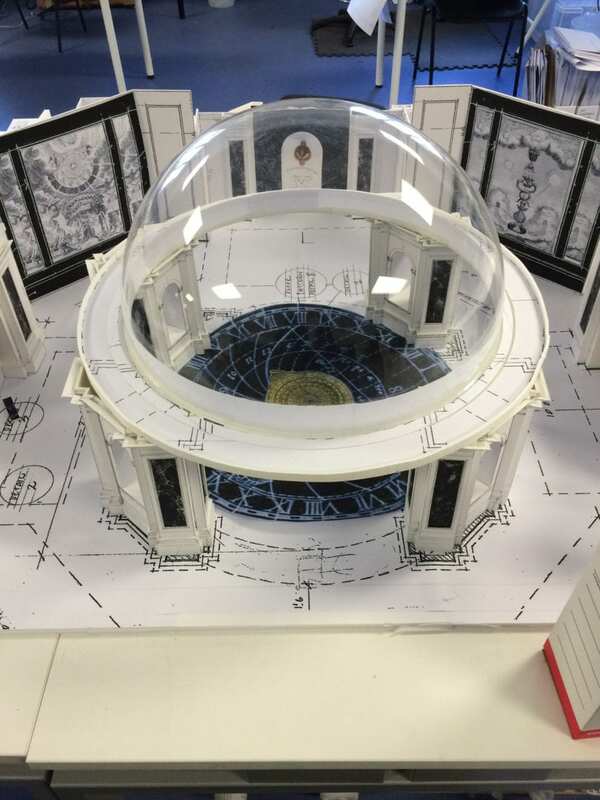 This is the crazy model of the Star Chamber. There were a few jokes about it looking like a spaceship ready to take off. This model was built by Jasper and Gillie. They built the model then we tried all sorts of different images to go on the walls.